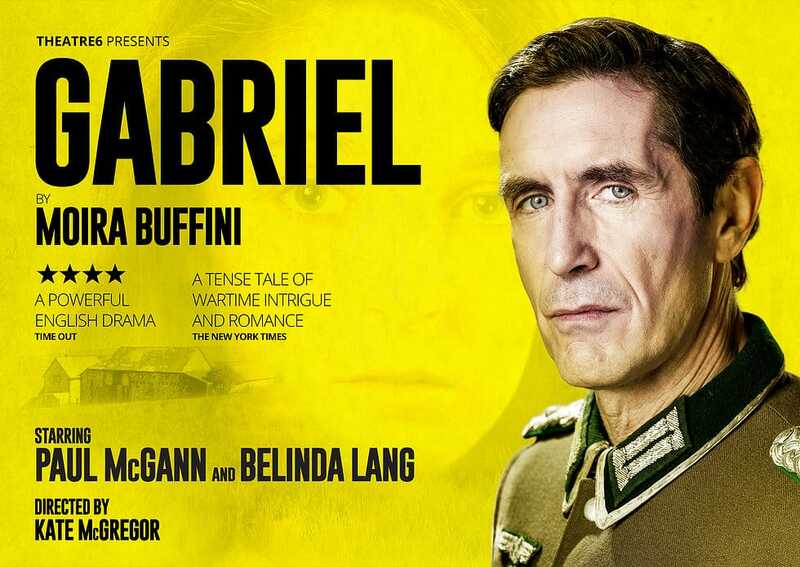 Gabriel, a play by Moira Buffini will tour the UK from 28 March 2017. This is the second time the production has been staged since the play originally premiered at the Soho Theatre in 1997. The story of Gabriel is based in 1943 Nazi-occupied Guernsey. Widow and mother Jeanne does whatever it takes to keep her adolescent daughter Estelle and daughter-in-law Lily safe on an island filled with danger and fear. Her toughest test arrives in the form of the terrifying Commander Von Pfunz, whose romantic advances may be the only way to keep her family alive. But tensions intensify when a mysterious young man is washed ashore with no memory of who he is. Fluent in German and English, is he an RAF pilot, an SS interrogator, a local boy with amnesia or a saviour sent from heaven? The stakes are high and getting it wrong means certain death. Belinda Lang will be joining the company in the lead role of Jeanne. Belinda is best known for playing Bill in 2 Point 4 Children. Other television credits include The Inspector Alleyn Mysteries, Second Thoughts, Dear John, Justice in Wonderland, The Bretts and To Serve Them All My Days. Belinda has also appeared in many theatre productions including Alan Bennett’s Single Spies, The Glass Menagerie, Oklahoma! UK Tour and Hay Fever (Haymarket Theatre and Royal Exchange Theatre). Jules Melvin will also join the production in the role of Lake. Jules’s theatre credits include Private Lives (Hampstead Theatre), The Rose Tattoo (National Theatre) and Othello, Pericles, Much Ado About Nothing, Richard III and The Taming of the Shrew (Shakespeare’s Globe). Belinda and Jules will be joining the previously announced Paul McGann (Withnail and I, Doctor Who and The Monocled Mutineer) as Von Pfunz, Robin Morrissey (Twelfth Night) in the title role of Gabriel, Sarah Schoenbeck (CBBC’s 4 O’Clock Club) as Lily and Venice van Someren (Thérèse Raquin at Southwark Playhouse) as Estelle.